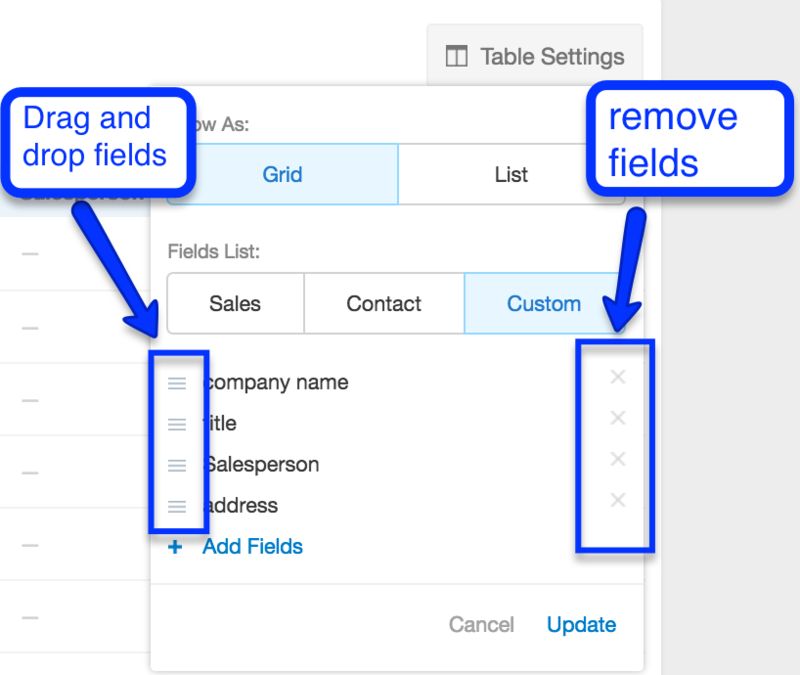 Learn how to create segments with custom columns in Nimble with our Table Settings feature. Custom Table Settings allow you to personalize your table columns to quickly see the data that is most relevant to your business. To start, go to your Contacts tab and click "Table Settings" in the top-right hand corner. Under "Field List:" select "Custom". 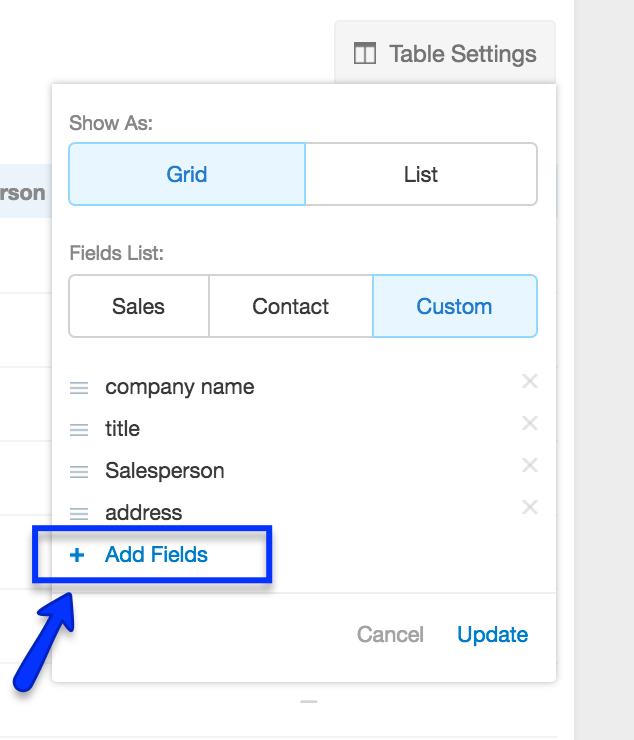 Click "Add Field" to add new fields to your custom list. You can also click the "X" to remove fields". Or drag and drop the field to rearrange how they display. When you are finished building your list, click "Update". Your custom columns are now saved and will display when accessing your filters, tags or saved segments. Please note: When you refresh the page, Nimble will default to sales view. To choose your custom columns, simply click "Table Settings" then choose "Custom" >> "Update." Nimble enables you to create custom table settings for each of your saved segments. After you've created your Segment, click "Table Settings" in the top right-hand corner. Then select the "Custom" option. Use the steps above to design your custom table setting. When you are ready, name your Segment and click "Save." When you visit the Segment in your Contact tab, it will display the custom columns you've saved.